At the end of a long day, you deserve to come home to your own personal oasis. To unwind in your backyard with a nice drink, just enjoying the scenery. This is hard to do if you need a backyard remodel. Luckily, our team of Glendale landscapers are just a call away and can help you finally enjoy your yard. Before you hire a landscaping company in Glendale, you should take the time to make sure you have all the information you need to make a good decision. To begin with, you should know exactly what you want the landscaper to do – do you need a backyard remodel or just some maintenance? This is an important aspect to consider because some landscaping companies aren’t full service and only offer maintenance packages. 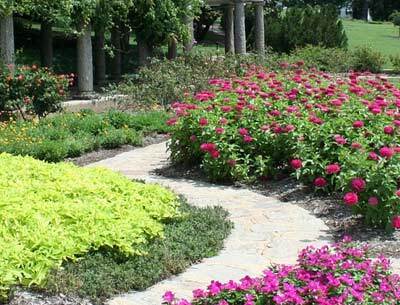 Chuck’s Landscaping is a full-service Glendale landscaper and we offer everything from landscape design and build services to landscape maintenance packages. We are happy to sit down with you and answer any questions you have about our company and your project. As one of the best landscaping companies in Glendale, we want you to enjoy the process every step of the way until you’re thrilled with the results. One of our favorite things to work on is waterfall design and construction. There’s something about a beautiful, peaceful water feature that takes a design to another level. Our clients love having their own custom waterfall design and construction as part of their backyard remodel plans, so we do our best to make the feature unique and special to every client who requests it. 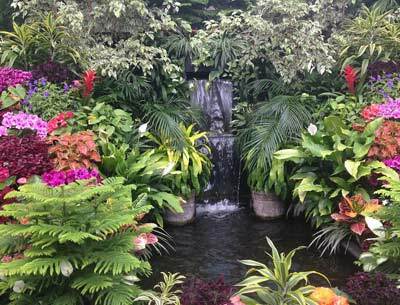 If your yard feels like it’s missing something, you should discuss a custom waterfall or other water feature with our team. Contact us today and we’ll get started with your own unique design. 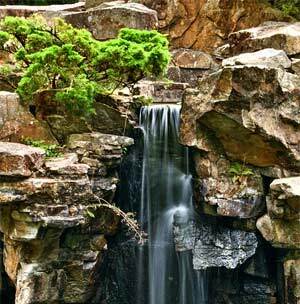 Once you have a beautiful waterfall on your property, you need to know how to take care of it to keep it beautiful. Luckily, this isn’t difficult work and is something we can even do for you if you don’t want the hassle. The main things you’ll want to make sure of is that your waterfall always has water so the pump isn’t running dry. It’s good to use distilled water when you can because it doesn’t have chemicals that can damage your pump or encourage algae growth. You’ll also want to check the pump for any debris to prevent any clogging. Taking the time to check it daily and use a small aquarium net makes this task easy. A good way to help prevent clogging is to add a slime and sludge remover that can remove pump buildup as well as bacteria and sludge from the bottom of ponds if you have one. To keep the waterfall as clean and sparkling as possible, you should change the water every 6 months. You don’t have to drain the entire feature and provide fresh water, just replace about 15% of the water with clean water. 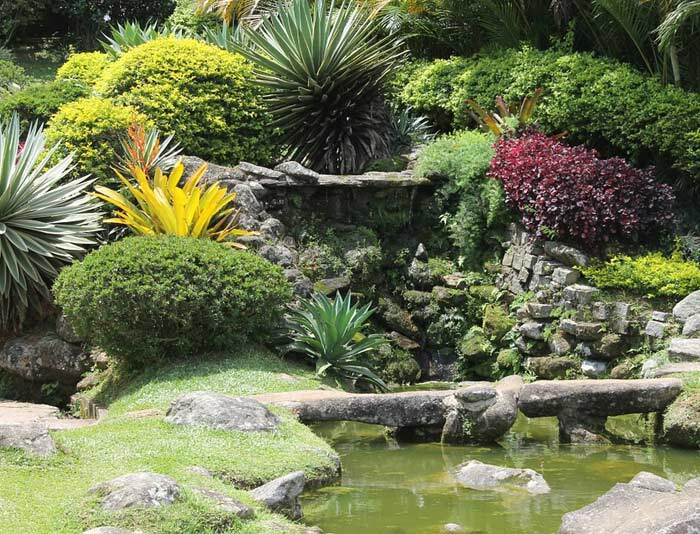 This twice a year task gets pollen and bird droppings out of the water and reduces the chance of algae which can turn your water feature or pond green. It might not be as glamorous as installing a waterfall, but we’re also fully equipped and prepared to handle your sprinkler system. We have been offering sprinkler repair since the day we opened and it’s still one of our most in-demand services. Learn more about sprinkler repair in Glendale, CA or call today to get started. When you’re thinking of your own backyard remodel, it’s helpful to get ideas and inspiration. While our team of Glendale landscapers can show you pictures and make suggestions, sometimes it’s good to leave the house and look at other gardens in the area. We love living and working in the Glendale area because there are so many options to get out and enjoy nature. Once we redesign your backyard, you won’t have to go far to enjoy your own piece of serenity. Contact us today to get a free estimate and discuss your unique project needs. While we are one of the best landscaping companies in Glendale, we also service the surrounding areas. You can find us in Burbank, Alhambra, Monterey Park, San Fernando, and throughout the Los Angeles area. If you aren’t sure if we come to your area, just give us a call and we’ll let you know! Whether you need a full backyard remodel, want a waterfall design and construction service, or just need some landscaping maintenance, we can take care of you. Contact us today to get started.